RM2.67 is current support level. RM2.86 is resistant level. 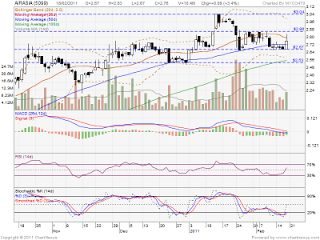 If able break up RM2.86 resistant, it might retest next level resistant, which is around RM3.04 level or historial high. 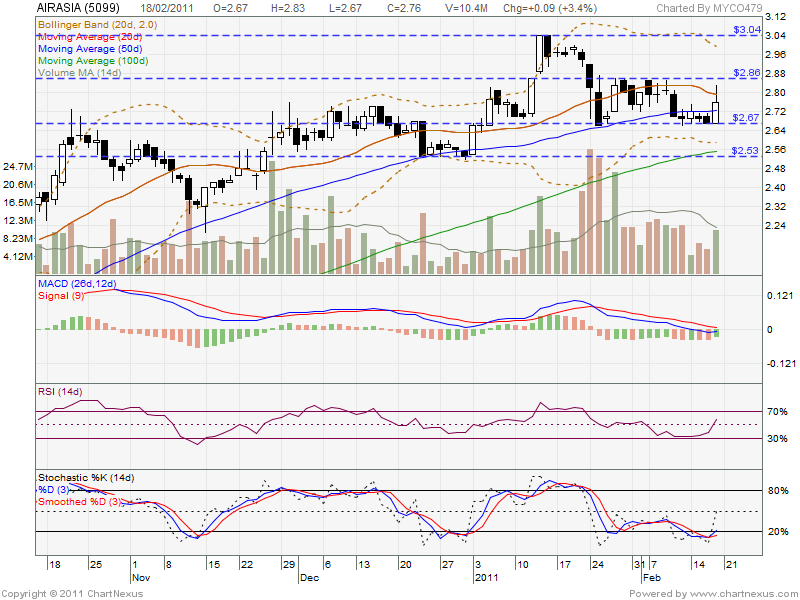 However, if break down RM2.67 level, next support level will be around RM2.56 or RM2.53 (MA100).